Fraiba Jalal is a corporate commercial lawyer who assists clients with mergers and acquisitions, commercial lending and financing, insolvency and debt recovery, and residential and commercial foreclosures. Fraiba also practises in the estates and trusts area, assisting clients with their estate planning and administration needs including drafting of wills, setup and administration of trusts, and the estate administration and probate process. Fraiba was called to the Saskatchewan bar in 2014 and British Columbia bar in 2015. Fraiba graduated from the College of Law at the University of Saskatchewan with her Juris Doctorate in 2013. During her studies at the College of Law, Fraiba participated in two academic exchanges, with Bond University in Australia and the University College Dublin in Ireland. Before studying law, Fraiba received her Bachelor of Commerce degree with a major in accounting from the Edwards School of Business at the University of Saskatchewan. 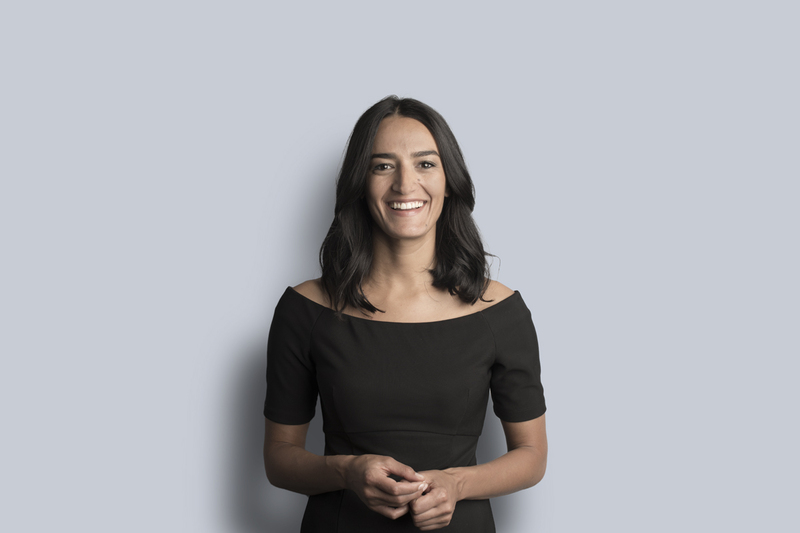 Fraiba’s diverse work experience prior to becoming a lawyer includes working with International Organization for Migration, Pro Bono Students Canada, and Saskatoon Open Door Society. Corporate: Fraiba has assisted a variety of corporate clients by providing advice in relation to various corporate related issues, including reviewing and drafting commercial contracts and shareholder agreements, and providing advice in on-going business matters. Mergers & Acquisitions: Fraiba has advised private-sector corporate clients in relation to mergers and acquisitions in Saskatchewan, including amalgamations, mergers, corporate reorganizations, restructuring, and purchase and sale transactions. Financial Services: Fraiba acts for both banks and credit unions, as well as private lenders. Fraiba has acted on commercial lending transactions in a variety of industries but has particular experience in the agricultural sector. Insolvency & Restructuring: Fraiba has acted for a variety of lenders in insolvency related matters, including foreclosures and other security enforcement. Fraiba has particular expertise in residential and commercial foreclosures and in relation to the agricultural industry and the Saskatchewan Farm Security Act. Estate and Trusts: Fraiba has assisted clients with estate and succession planning and probate and estate administration. Presenter, “Understanding Incorporations – The Basics of Business Structures” to Women Entrepreneurs of Saskatchewan on Marcy 21, 2018. Presenter, “Business Structures for Small Businesses” to Ideas Inc., on February 27, 2018. Presenter, “Business Structures for Small Businesses” to the Saskatoon Women’s Network on February 22, 2018. Presenter, “Business Succession and Estate Planning for Farmers” to Farm Credit Canada, on January 18, 2018. Presenter, “Basics in Estate and Succession Planning” to Keyspire on January 13, 2018. Co-author, “Working for the Weekend on the Farm? Farm Employees and Exemptions under the Labour Standards Act (Saskatchewan),” Miller Thomson The Food Web Blog, August 8, 2013.